Sally Kate Winters Family Services is a private, nonprofit organization offering a variety of social services and family support to youth in need. Since the inception of the Sally Kate Memorial Children’s Home in 1990, the mission of the program has been to offer the gift of humanity, love, and respect to children traumatized by child abuse and neglect. Through the years, services were added to serve the runaway and homeless youth population in Mississippi, and provide further support to child abuse victims through an accredited Children’s Advocacy Center. 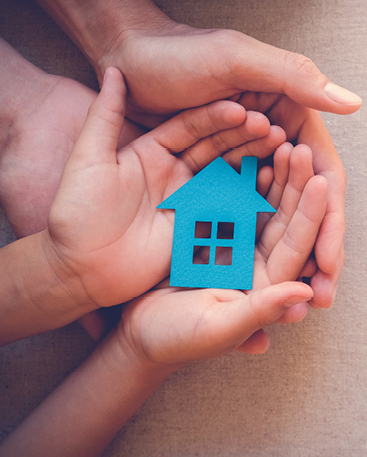 Today, Sally Kate Winters offers four unique programs that operate on a referral and voluntary basis—Emergency Shelter Program, Runaway & Homeless Youth Program, Transitional Living Program, and the Children’s Advocacy Center. To empower children and families to seek and experience an improved quality of life. Sally Kate Winters Family Services is represented by the butterfly logo that signifies the journey of families. The beauty of a butterfly is only possible through the progression of a meager caterpillar. This is often a similar journey for families. As children and families become involved with the program, they will become like a caterpillar wrapped by a protective cocoon of education, shelter, support, and supervision. As knowledge, skills, and safety are gained, needs are met, and relationships are strengthened, children and families will begin to grow and develop a sense of empowerment to find their own wings. Through a nurturing process, families representing all walks of life will begin to resemble the amazing progression of the butterfly. Like the caterpillar becomes a new creation, families and children will have an opportunity to experience an improved quality of life through their encounter with Sally Kate Winters Family Services.